New technology is being introduced every day. While advances in technology bring benefits, there are also adverse effects on the environment. More technology means more production and more consumption. Some of these technological advances have a negative effect on the environment, such as pollution. As the world becomes more and more industrialized, the environment undoubtedly undergoes significant change. Examples of this include hydroelectric dams, CO2 emissions, and nuclear disasters. 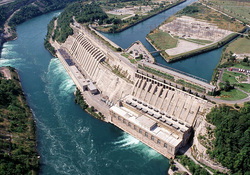 Hydroelectric power is the production of electrical power from using the force of falling or flowing water. It is the most widely used form of renewable energy. Hydroelectric power is produced in 150 countries. It is a very cheap form of renewable energy, making it very competitive source of energy. Advantages: Hydroelectric power is a very flexible energy source, meaning companies can ramp up or slow down production very quickly to fit changing energy demands. Also, except for the production of the plant itself, there is very little direct waste. They do not burn fossil fuels so no CO2 is directly produced. Disadvantages: The damming of water interrupts the flow of rivers, which can harm local ecosystems and displace people and wildlife. The water displaced by the dam settles upriver. In 2008, it is estimated that 40-80 million people worldwide were displaced by dam construction and planned reservoirs. Along with ecosystems, the dams cause changes in the erosion of the rivers. It changes the flow and the amount of sediment in the water. Carbon Dioxide is a greenhouse gas which, due to human activities, has increased significantly. CO2 is emitted from the burning of fossil fuels. The concentration of CO2 in the atmosphere has increased by 35% since the start of the industrial age. The oceans have absorbed one third of the CO2 emissions from humans. This threatens organisms living in the water. Another effect of the emissions is acid rain, which is not good for the environment. CO2 negatively influences the quality of air and increases the greenhouse effect. 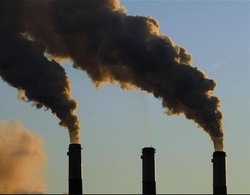 Greenhouse gases affect the environment by causing extreme weather changes, increase in global temperature, harm to ecosystems, and hazardous health effects on people. Chernobyl is located in Ukraine on the Eastern side of Europe. Back then it was called Ukrainian SSR which was under direct jurisdiction of central authorities in Moscow. On April 26, 1986 during a systems check a reactor had a sudden power output surge that triggered an emergency shut down which make a bigger power output surge. Which let to the reactor to rupture that triggered many explosions. The resulting fire sent a plunge of radioactive material into the air which spread over an extensive geographic area. The plumb drifted mostly over Russia and Europe. From 1986 to 2000 350,4000 people were evacuated, mostly from Belarus, Russia, and the Ukraine. It was estimated that 60% if the fallout landed in Belarus. This affected the economy of these countries very much. This nuclear power plant in Chernobyl employed 500,000 workers. Also many people got sick from this disaster so they could not work, businesses would close and people were immigrating to other countries. This all affected the economy of Russia, Belarus, and the Ukraine. Politically things turn for the worse for these countries. People now did not trust the government with nuclear weapons now so many people stopped supporting their form of government. The disaster affected the environment the most. Not only did habitats get destroyed animals and humans were mutated from the nuclear gas in the air that was released by the explosion. These mutations are still present to this day. Ukrainian officials estimate that the "zone of alienation" around Chernobyl will not be inhabitable for another 20,000 years. This can prove that globalization can be bad if people are dying and the human race is being altered. During WWII the United States created a bomb that would change the course of not only the war but of new weapon technology in the world. The United States were the first ones to develop such a bomb that could destroy a whole city. There is still controversial over whether or not the United States should have dropped the atomic bomb. Some people say that it would have millions of American lives but they don't see how many civilians were killed and how many more they killed after the bomb was dropped. Within the first two of the four months of bombing Hiroshima lost 90,000 to 166,00 and in Nagasaki 60,000 to 80,000 were killed. 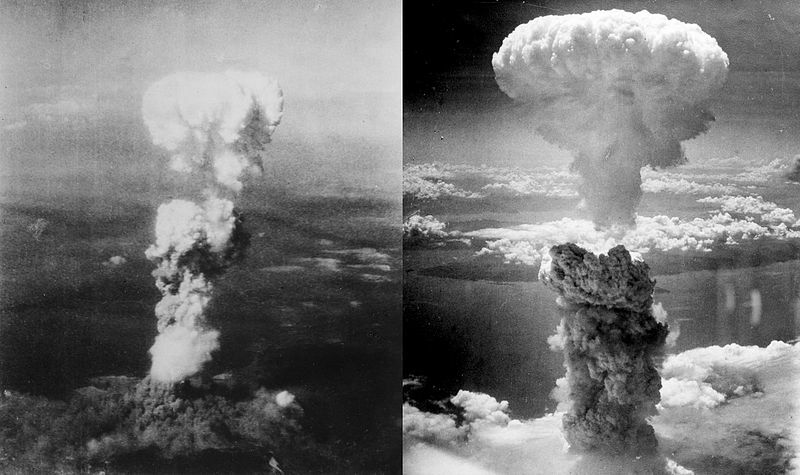 Roughly around half of those deaths were in the first day of the atomic bomb. 15-20% died on radiation sickness, 20-30% died from burns, and 50-60% of other injuries. In both cities civilians were the ones that were killed the most. Six days after the Atomic bomb on Nagasaki Japan surrendered and the war was over. The after math was similar to Chernobyl, in which the economy suffered greatly from not only people migrating away from Japan but many farms suffered a great amount of damage. People couldn't eat any farm food that was grown near Hiroshima and Nagasaki that not only killed the farmers but people relying on them to produce goods is no longer there. Also like Chernobyl the explosion wasn't the worse part in the next generations children and animals were being deformed which you can still see today in Japan. Politically people now noticed that their government could not protect them and so the United States made them practice a new form of government. In all you can argue that globalization was good because it ended the war and saved many American lives but in all globalization can be bad in ways that humans are suffering because globalization has put fear into different countries.